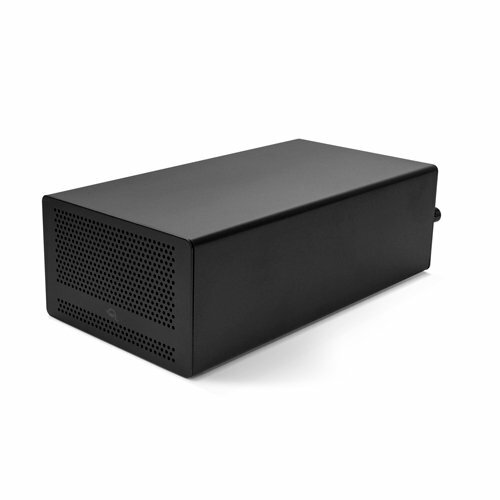 OWC Mercury Helios 3 Thunderbolt 3 PCIe Expansion Chassis Mac / PC / Thunderbolt 3 / PCIe Features an x16 PCIe 3.0 double width card slot The Little Black Box to do it All. Fast The OWC Mercury Helios PCIe expansion chassis gives Thunderbolt equipped Macs the ability to tap into a huge variety of pro-level performance PCIe cards, previously the sole domain of desktop workstations. Leveraging extreme performance Thunderbolt 3 and PCIe 3.0 technologies, Mercury Helios 3 delivers nearly unlimited expansion potential to your Mac. At up to 40Gb/s transfer speed, the sky is the limit with the flexibility to completely customize the capabilities of almost any workflow or workstation.